Delve into more content with LG webOS. You can stream sports, TV shows, films and more from online sources like Netflix and Amazon 4K. The LG49UJ701V 49" Smart 4K Ultra HD HDR LED TV uses advanced HDR technology to master every scene for pinpoint detailing and impressive image reproduction. 43UK6300PLB 43" Ultra HD 4K TV. FREE Device Setup Support. You Will Also Receive. Isle of Wight. Northern Ireland. PH16-PH26 / PH30-PH41 / PH49-PH50. PA21-PA38 / PA80. IV1-IV40 / IV52-IV54 / IV63. Technical specifications for LG 32LK6100 32" Smart HDR LED TV. Box contents- LG 32LK6100 32" Smart HDR LED TV. And with Google Assistant built-in you can do even more. All you need to do is ask. And for optimum contrast whether you're watching or gaming, the LG LK6100 features advanced HDR technology. Utlimate HDR 4K Picture. This LG 49" TV has advanced HDR technology allowing it to adapt to a variety of HDR formats. A new depth of detail. In the heart of this LG TV are 4 copres of processing power with a powerful brain to enusre bright, sharp 4K images. LG TV Monitor has dual-purpose which combines TV and Computer Monitor. Enjoy LG TV Monitor’s built-in Wi-Fi. Easy to connect with other devices, you no longer have to go through hassles of tedious connecting procedures to view contents from other devices on the monitor. The last two pictures look worse than it actually does during general viewing (the first ones show how it looks generally) but is taken at the optimum angle to show the fault as I want you to be fully aware of it. LG 55UK6300PLB 55" UHD 4K HDR Smart TV - Freeview Play - Grade A . Model : 55UK6300PLB. The box is in a tatty condition. Freeview Play : Yes. Digital Tuner : Freeview HD. 1080p 4K Ultra HD : 4K ULTRA. Catch up on TV shows with webOS and Freeview Play. Featuring active High Dynamic Range (HDR) imagery, the LG55UJ634V 55" Smart 4K Ultra HD HDR LED TV reproduces colours and shades that are as close as possible to those that your eye can process. Freeview HD and Freesat HD. It listens and thinks to answer your requests. See how LG AI TV with the Google Assistant built-in has changed the way you watch TV. 4K Ultra HD resolution. Freeview HD: Yes. YES, that's 4 x FULL HD! Colour, contrast and clarity is also enhanced too with LG's most advanced Triple XD Engine. 4K HEVC Decoder. Enjoy up to 50 digital TV channels including BBC Three and ITV 2 with amazing detail and rich colour. 43UK6200PLA 43" Ultra HD 4K TV. Wi-Fi & Ethernet connection. You Will Also Receive. Isle of Wight. Northern Ireland. PH16-PH26 / PH30-PH41 / PH49-PH50. PA21-PA38 / PA80. IV1-IV40 / IV52-IV54 / IV63. Collection only from Tooting London, SW17. LG Model 65UH750V 4K 65 inch Smart Ultra HD HDR Led TV in good condition apart from a small vertical line as you can see in pictures. All tested and working. Tv comes with magic remote and power cable. Nothing else come. Collection only from e11 post code. Delivery can be arranged only on special request but please ask before. LG OLED55B8PLA 55" Ultra HD 4K Smart HDR AI TV Wifi & WebOS & Freeview/Freeview. • Cinema HDR. Our engineers may initially call you to see if the problem can be resolved over the phone. TESTED & REFURBISHED AND IN VERY GOOD CONDITION. LG TV Monitor has dual-purpose which combines TV and Computer Monitor. Enjoy both TV and Monitor together. 16:9 - DTV, ATV, HDMI Original - DTV, ATV, HDMI Full Wide - DTV, ATV 4:3 - DTV, ATV, HDMI Just Scan – DTV, HDMI (720p↑) All-Direction Zoom - DTV, ATV, HDMI Vertical Zoom - DTV, ATV, HDMI. The TV is tested fully operational and functions as intended, with all ports & connections, thoroughly tested working unless otherwise stated. This is smart TV (it has build in WiFi for Wireless Connection). 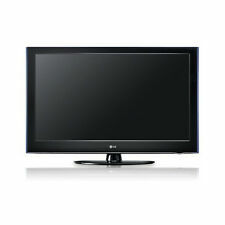 LG 42LA690V 42" 3D 1080p HD LED Television. Condition is Used. Perfect working order. Beautiful condition. Swivel stand. Magic remote plus standard remote. All usual apps incl. Amazon and Netflix. 3D and upscaling. Please check it's spec and outstanding reviews online. Selling only as I've treated ourselves to a new TV! Model number: 28TK410V. Freeview HD and Freesat HD digital tuner. Freeview HD (UK). LCD TV Screen. HD Ready display resolution. Size of TV H40, W65, D6cm. Size of TV with stand: H44, W65, D18cm. Full HD 1080p screen, beautiful picture quality and great sound too. The TV can also swivel on the stand for better viewing angles. Grab a bargain! Strictly collection only. 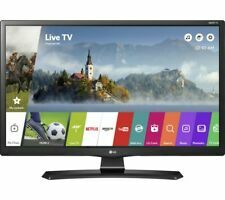 LG 49UJ630V 49 inch 4K Ultra HD HDR Smart LED TV [Energy Class A]. Condition is excellent, hardly been used. The reason for selling is due to moving house and it being too big for the room. Collection only. 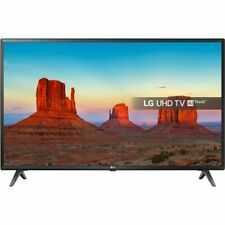 LG 32LH590U - 32" Class LH590U Series LED TV - Smart TV - webOS - 720p 1366 x 768. 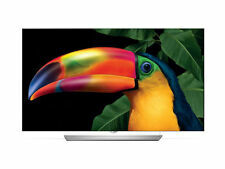 LG 32LH590U LH590U Series - 32" LED TV. LG 32LH590U. Digital TV Tuner. LED-backlit LCD TV - Smart TV. LED backlight. TV Tuner Presence. SMART with webOS 3.5. ULTRA HD 4K - 3840 X 2160. 4K Up-scaler. Active HDR. Freeview HD. Wall mountable. • AI TV • Cinema HDR. Our engineers may initially call you to see if the problem can be resolved over the phone. TESTED & REFURBISHED AND IN VERY GOOD CONDITION, THE SCREEN WILL BE IN PERFECT CONDITION HOWEVER THE TV MAY HAVE DUST OR FINGERPRINTS DUE TO HANDLING DURING TESTING. With DLNA you can stream music or video from your laptop, PC or NAS drive. WebOS 3.0 uses superimposed icons, folders and side bars for clear and easy access to smart content without leaving the current screen image. No stand, and remote. These will be (if any) small marks and scratches around the screen or on the rear side of the TV. They won't have any impact on the viewing or performance of the TV. Used Perfect Condition - 6 months old. Manufacturer reference 43UK6200PLA. A vibrant and vivid picture from any angle. LG 55UJ651V 55 Inch SMART 4K Ultra HD HDR LED TV Freeview Play USB Record. Condition is Manufacturer refurbished. SILVER FRAME STILL WITH FOIL Have few scraches on the screen, but you can only see them when tv is turn off, can send picture.Collection Castleford or can deliver (ask for price). Full working order in very good condition with stand and remote control. 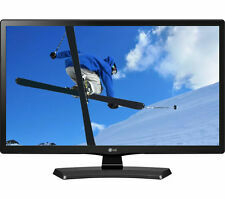 LG 22" LG23050 HD LCD TV + Wall Bracket - NO STAND, NO REMOTE! 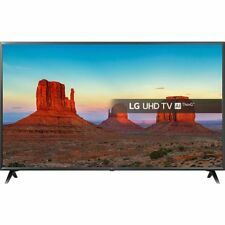 LG 43" Smart 4K UHD Ultra HD LED TV HDR 43UK6300 Freesat HD - LATEST MODEL! The right TV makes all the difference in your home entertainment and theatre setup. When you have the right TV, you can use it to stream content, watch your favourite shows, play video games, and relax with a movie. 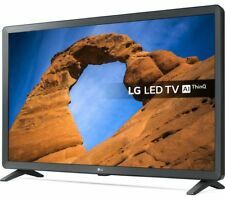 On eBay, you can find a variety of sizes, types, and features for LG TVs. What are the types of display technologies in LG TVs? CRT - This consists of a projector gun and screen contained in a box. LCD - A thin panel has a liquid crystal display and a fluorescent bulb to illuminate the crystals. OLED and LED - A thin panel is illuminated by light-emitting diodes arranged in an array. They can be directly or edge-lit. Plasma - This technology consists of two panes of glass with gas between them. What are the screen sizes and resolutions of LG TVs? The available screen sizes for LG TVs range from less than 20 inches to more than 60 inches when measured on the diagonal. There are also wide-screen formats with a 16:9 width to height ratio. The available resolutions of the TVs range from 720 to 4,340 pixels. Some of the TVs have a 4K resolution compatibility. Many of these choices are available on eBay. What are the available smart features on new LG TVs? Downloadable apps - These apps provide you with access to play games and information about the media playing on the TV. Internet browsing - The TV has a built-in browser so that you can search on the internet or visit specific sites. Internet streaming - Play live content directly from the internet. Streaming services - This feature allows you to stream content directly from streaming services like Netflix, Hulu, and YouTube. Home network streaming - Access content that is sharing-enabled from other devices on your home's Wi-Fi network. What are some of the other features of LG TVs? Built-in web cam - This allows you to interact with video gaming consoles or to use the TV for live video chats and calls. Ports - The LG TV may have ports including Ethernet, USB, HDMI, and a headphone jack. Screen fit - The screen may be flat or curved, and it may have a thin or standard bezel. Play modes - Available options include sports, game, and picture-in-picture. Controlling options - It may accept voice, keyboard, or remote controlling. Content provided for informational purposes only. eBay is not affiliated with or endorsed by LG.